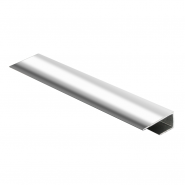 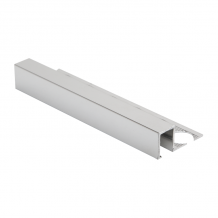 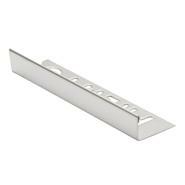 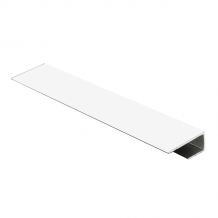 We have been working hard to bring to you a collection of the finest trims available, including 6mm, 8mm, 10mm, 12mm & 15mm trims, with a selection of profiles available, including round edge, square edge, straight edge and angle edge trims . 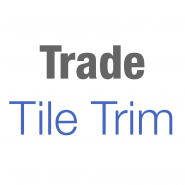 combined experience of 60+ years they are the perfect team to give you the best advice. 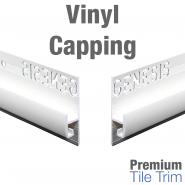 We wanted to use our knowledge of the industry to help save you time and money. 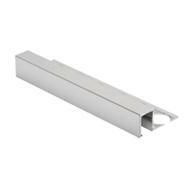 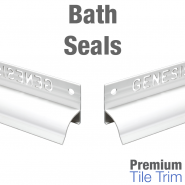 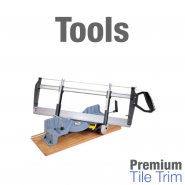 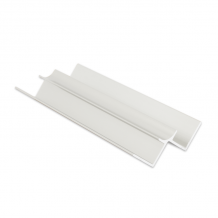 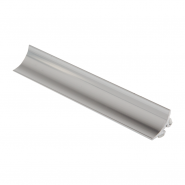 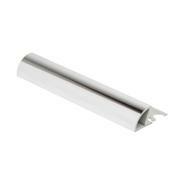 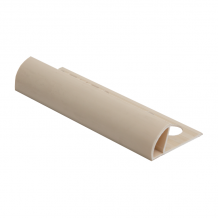 The result is Premium Tile Trim, where we hope you will find everything that you need. 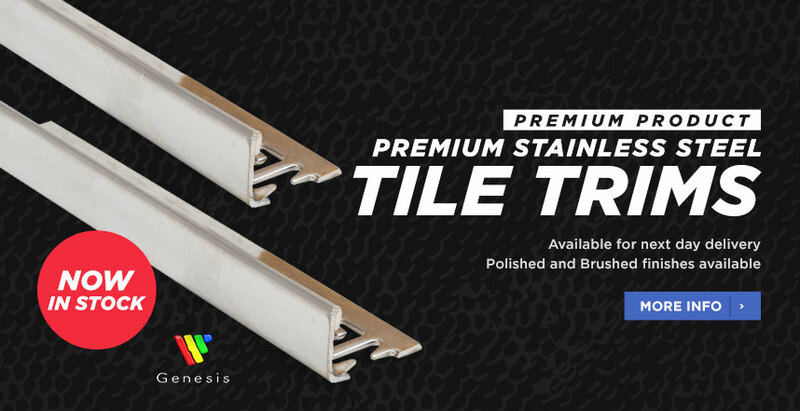 With a wealth of experience in the tiling industry, Premium Tile Trim has developed into a one-stop shop for the highest quality tile trims and profiles. 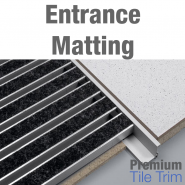 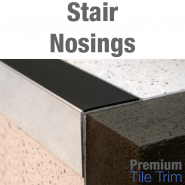 As a family run business, based just off the M1 in the village of Blisworth, Northampton, we’ve developed our huge range of tiling products to include Tile Trims, Flooring Profiles, Edge Protectors, Stair Nosings and Expansion Profiles among others. 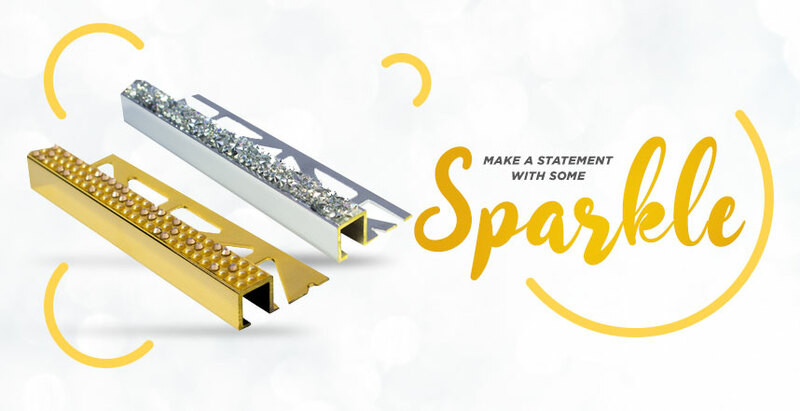 Our aim is simple; to give you the most stress free online shopping experience possible, along with the best advice and the fastest deliveries. 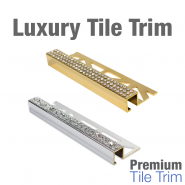 As our name suggests, we’re one of the UK’s leading suppliers of tile trims, so whether you’re looking to complement your tiles with an affordable soft cream plastic trim, brushed copper or 24 Carat Gold Plated Brass, we can meet your requirements. 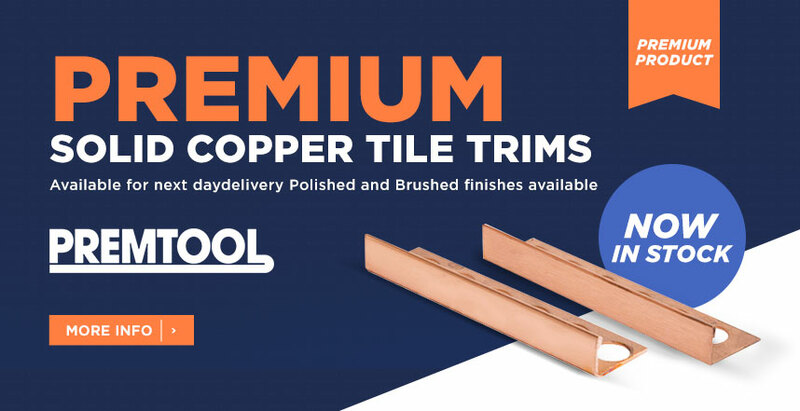 What’s more, all of the products featured on our site come from the world’s leading manufacturers such as Schluter, Dural and Genesis. 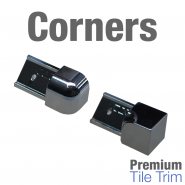 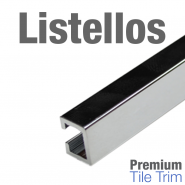 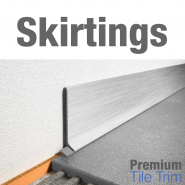 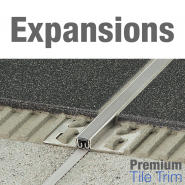 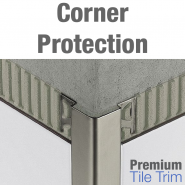 Having supplied our high quality tiling products to homeowners, DIY enthusiasts and professional contractors, we’ve covered all areas, so whether you’re searching for stylish tile trim corners, sophisticated listellos, sleek skirtings or essential tools to carry out the job, we’re confident you will find everything you could possibly need on our website. 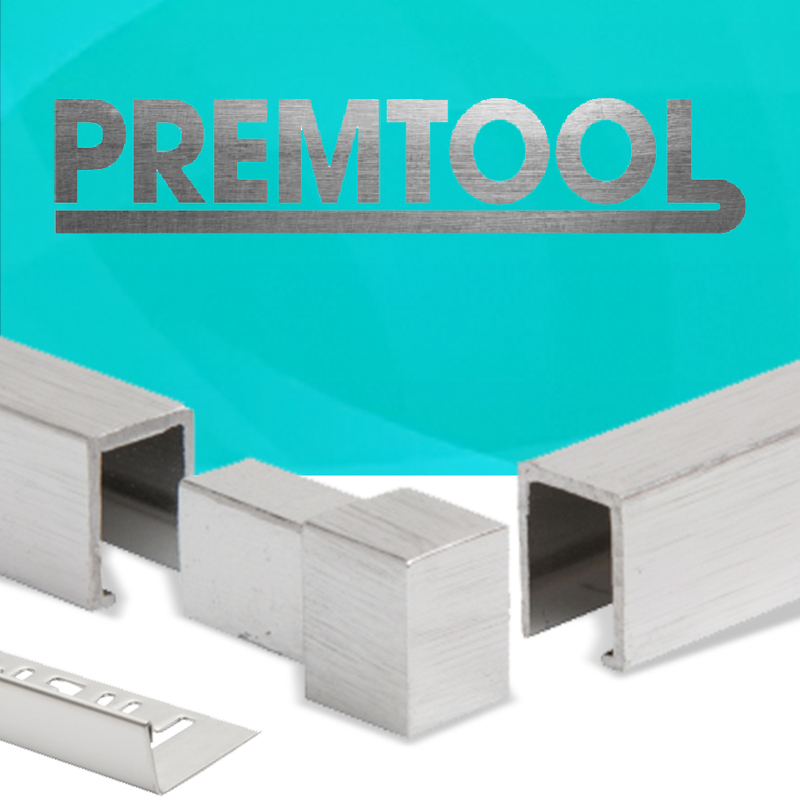 In addition to providing worldwide deliveries, we offer our UK customers free deliveries on orders over £199 (net). 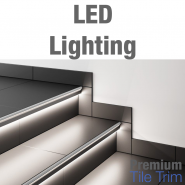 Placing an order with us is simple and the best place to start is by browsing our many categories on the left hand side of this page. 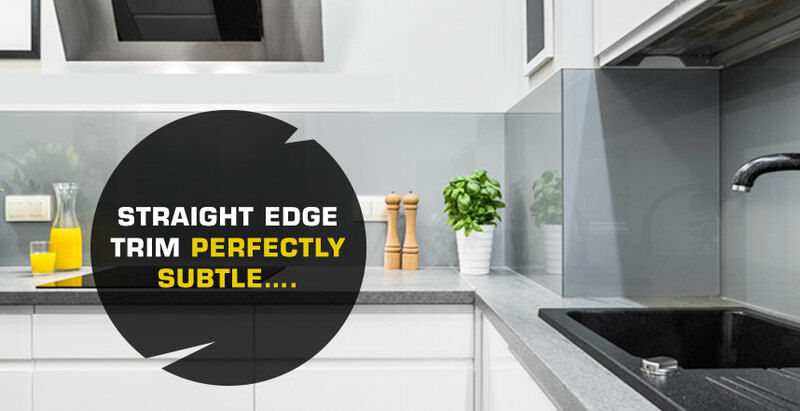 We really have tried to cover all areas; so if you’re unable to find the item you’re looking for, please do not hesitate to get in touch with a member of our team. 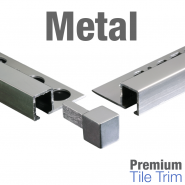 If you’re a trader looking to stock up on quality tile trim, we have a huge range of options available from Matt Black to Metal, Bright Rose, Polished Silver and Gold, whilst you’ll find that many of these items feature multi-buy discount options. 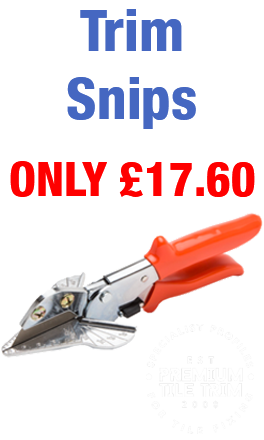 We’re also regularly updating our special offers in a bid to help save you time and money. 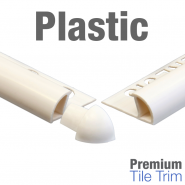 No matter how big or small your order is, we can provide a prompt delivery and for peace of mind we’ve spent a lot of time perfecting the packaging of our tile trim. 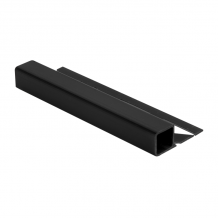 We bubble wrap all profiles and then we use purpose made tubes in custom sizes, whilst we even strap a length of 2in x 1in timber to the tube to give it added strength, preventing any risk of damage or warping. 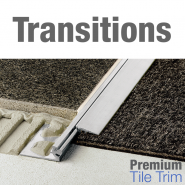 If you have any questions about any of the products you find on our website, or would like to learn more about a particular item, please do not hesitate to send us a message or email us at Sales@PremiumTileTrim.co.uk. 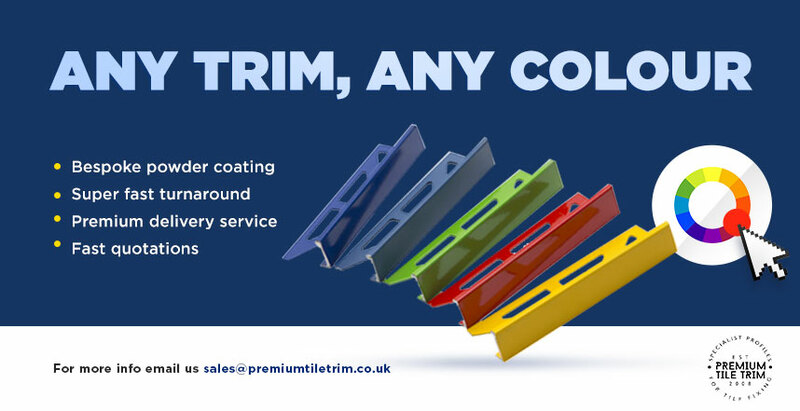 You can also call us on 01604 439345 ­– we’re open weekdays between 07:15 - 17.00 and Saturdays 08.00 - 12.00. 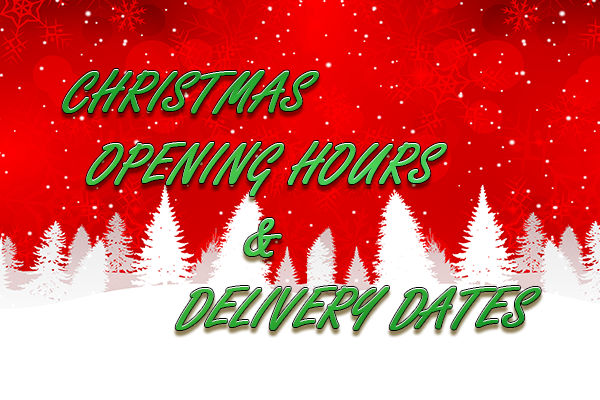 All goods in stock ordered on our website before 2.30pm are dispatched the same day (excluding weekends and bank holidays).